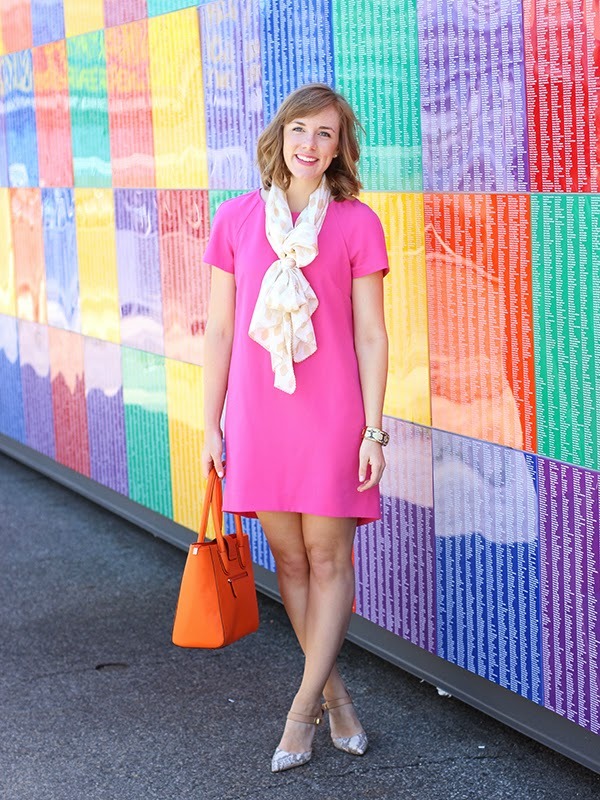 I typically struggle with shift dresses because my hips can tend to be a little tooooo large for the shape but when I saw this super affordable, amazing pink shift dress at Nordstrom I knew I had to give it a shot. I read the reviews and almost ordered a size up but luckily it wasn't available so I purchased in my actual size and as fate would have it, it fit!! I was so excited!! 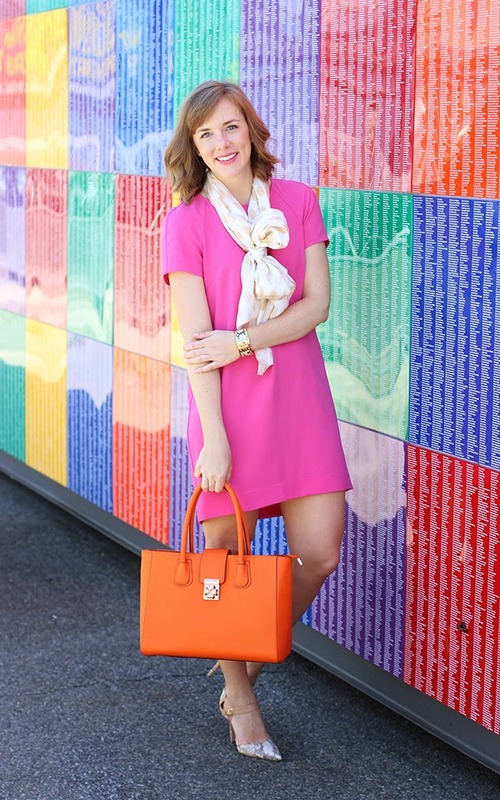 It's so lightweight and perfect for summer - dressing it up for the office or down for weekends. Also, how amazing is this wall? It's actually an art installation out on the west side highway full of artists names. Leave it to Krista to find an awesome backdrop for us! 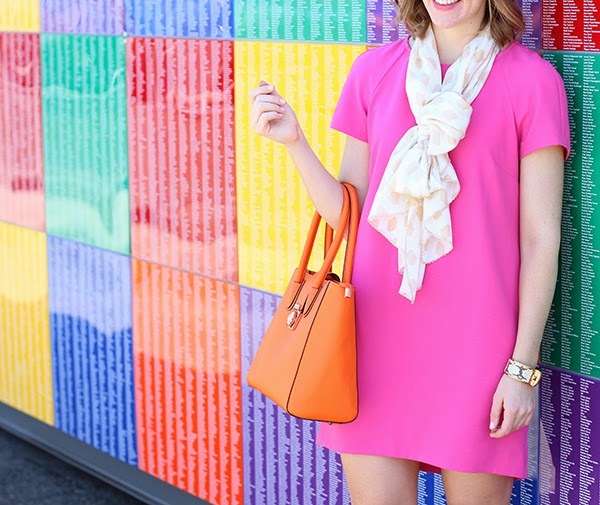 I've been looking for an easy dress for summer, and really love the way this one looks on you! I will have to try it. 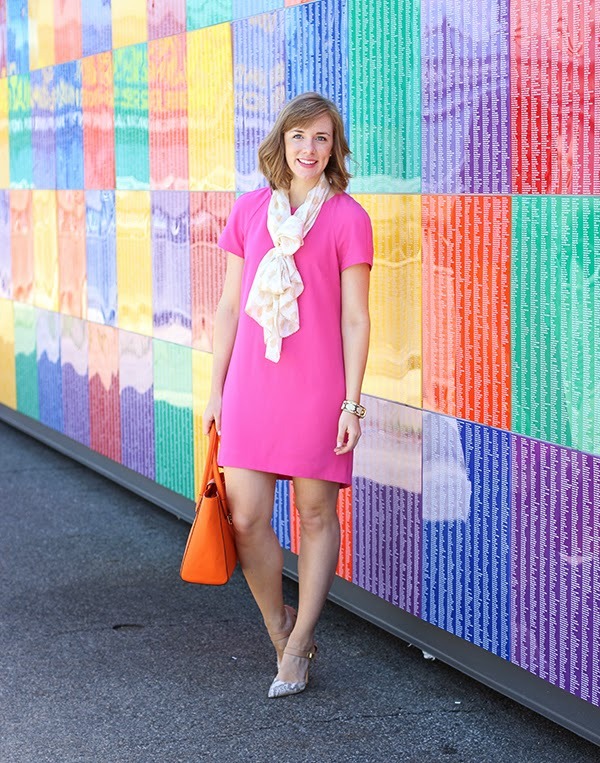 The shade of pink is perfect, and will be a welcome addition to my mostly neutral wardrobe! p.s. 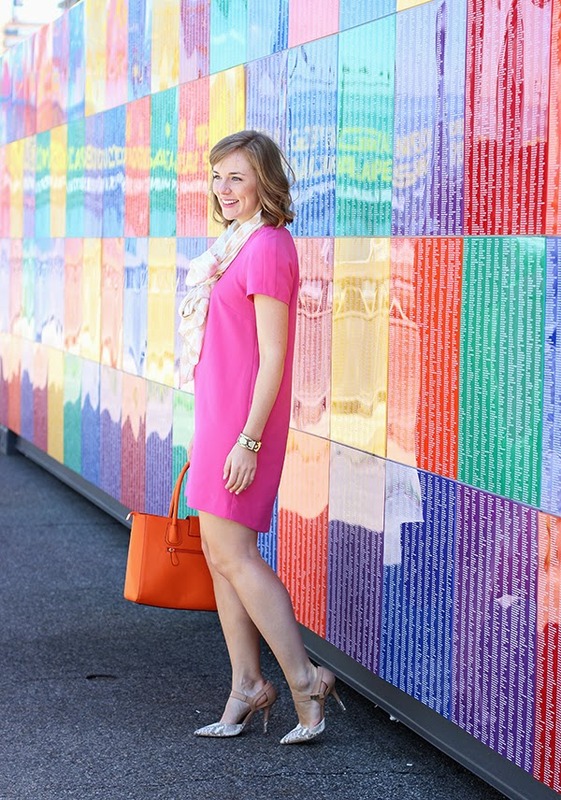 love the pink/orange color combo!